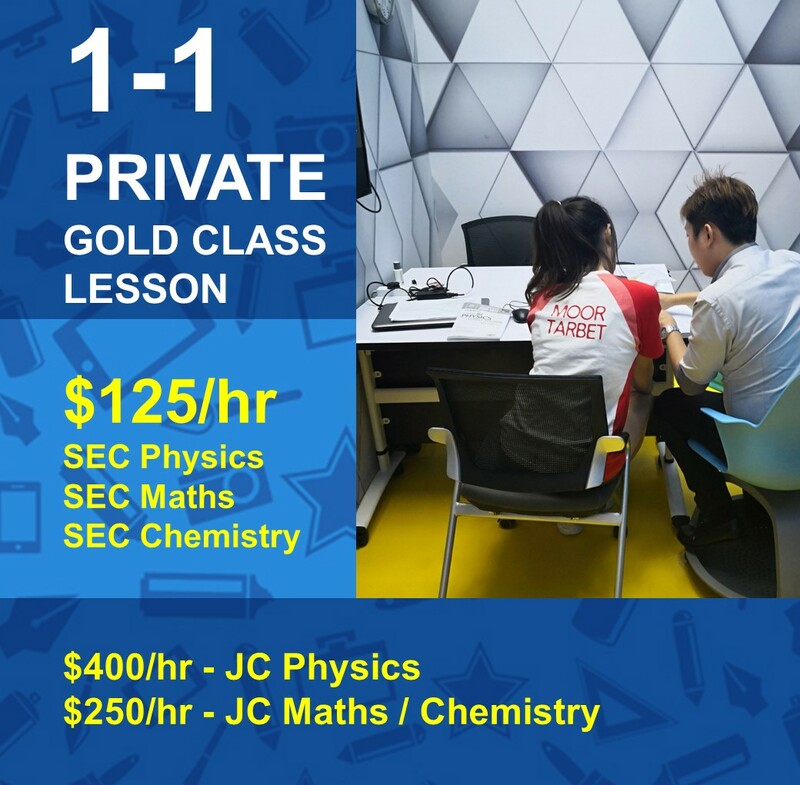 The 1-1 private tuition (Gold Class) lessons are suitable for the following students: Students taking H1 instead of H2, students taking IB instead of A level, students who need a crash course and is running out of time, students who join late and therefore need help for selected topics that he has missed. There will be no commitment to sign up for a minimum number of sessions. It can be done on an ad-hoc basis. 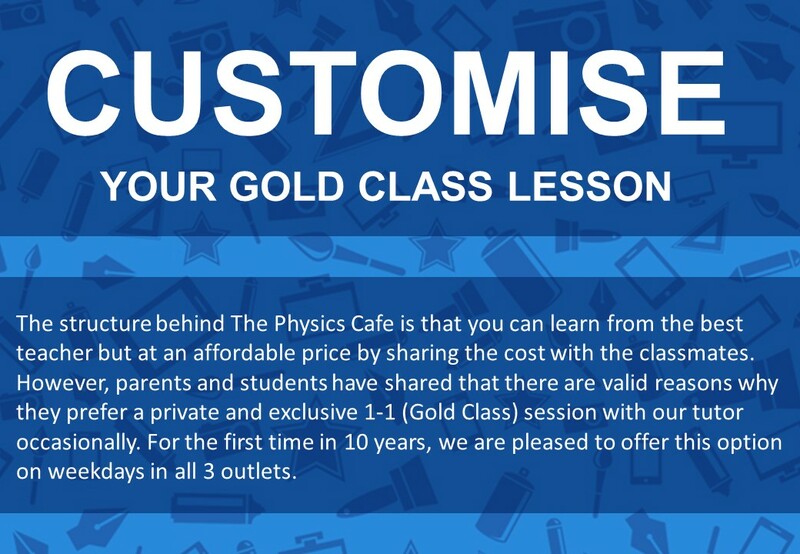 Existing or non-existing students can sign up for the private one to one Physics/Maths/Chemistry lesson. You will be spending more as you will be paying for the timeslot of an average group session. The fee is calculated based on 20% of the total tuition fee paid by a regular tuition class. However, the one to one session will be fully structured. 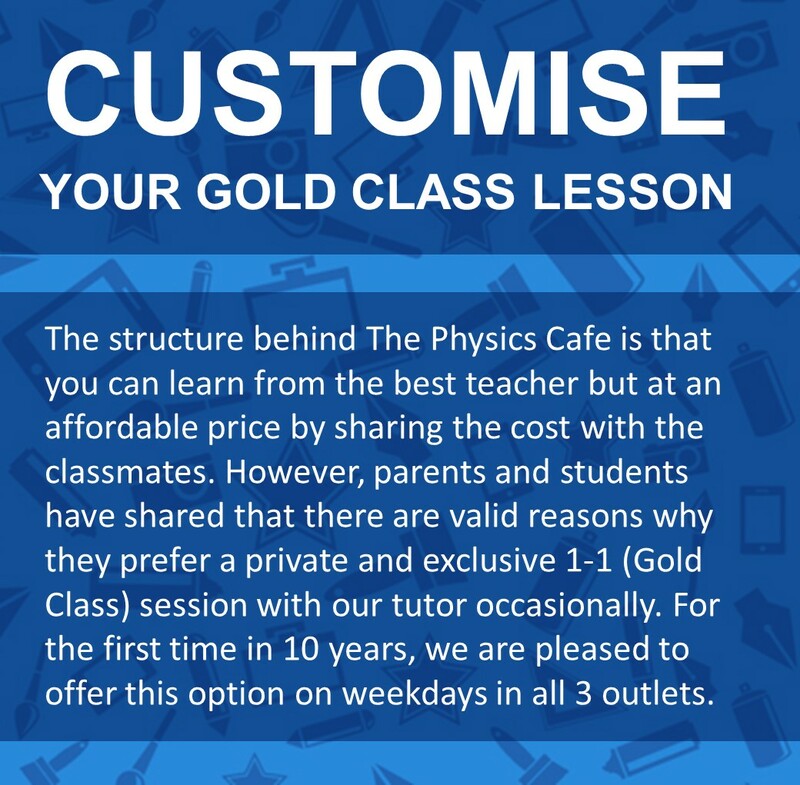 We will be using the resources from PMC and the tutor taking the private one to one lesson will be the same tutor taking the weekly group session of that level and subject. The lesson will be efficient and effective and you will master the topic that you choose within the 2 hour session. You will be expecting to cover the content of about 2 to 3 group sessions in one single session of one to one. You will get to choose the topic that you want to cover. Our tutor will be ready for the lesson and the 2 hours will be fully utilised.